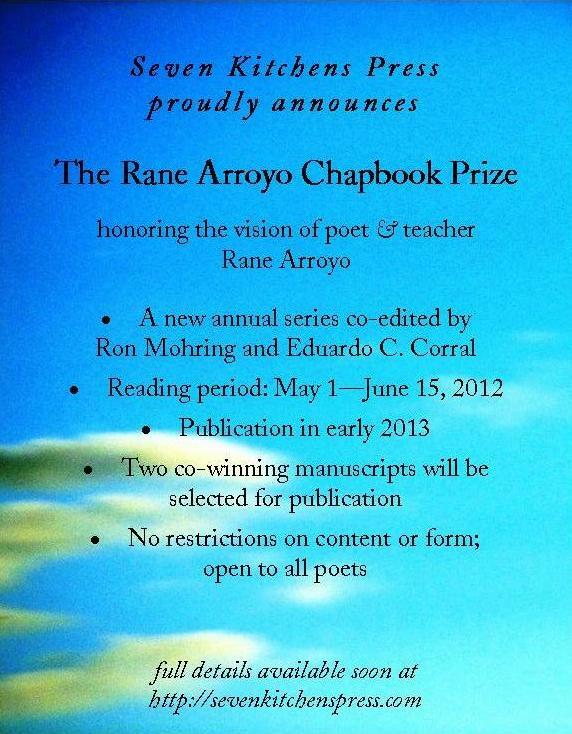 It’s a thrill to announce that we have selected two manuscripts for this year’s Rane Arroyo Chapbook Series: “Alterations,” by Dana De Greff of Miami, Florida, and “Mix Tape for a War,” by Guillermo Filice Castro of New York, NY. Both chapbooks will be published this summer as #8 and #9 in the series. Special thanks to Dan Vera, co-editor of the Rane Arroyo Series, and continued thanks to Glenn Sheldon, who blessed this project from our first conversation. Please join us in congratulating Dana and Guillermo! This entry was posted in manuscripts selected, Rane Arroyo Series and tagged Dan Vera, Dana De Greff, Guillermo Filice Castro, Rane Arroyo on March 25, 2018 by Seven Kitchens Press.